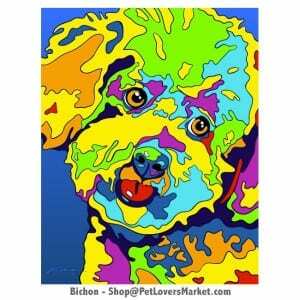 Looking for Bichon art? You’ve come to the right place. 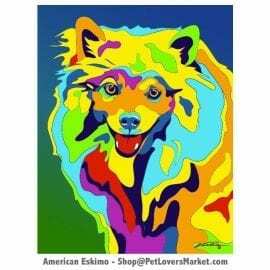 Part of our collection of dog portraits and dog paintings, this Bichon art is gorgeous, colorful and vibrant. It features the Bichon Frise dog breed. It comes in canvas prints as well as matted prints. Decorate your walls with Bichon art. All of our dog portraits are ready to hang as wall art. 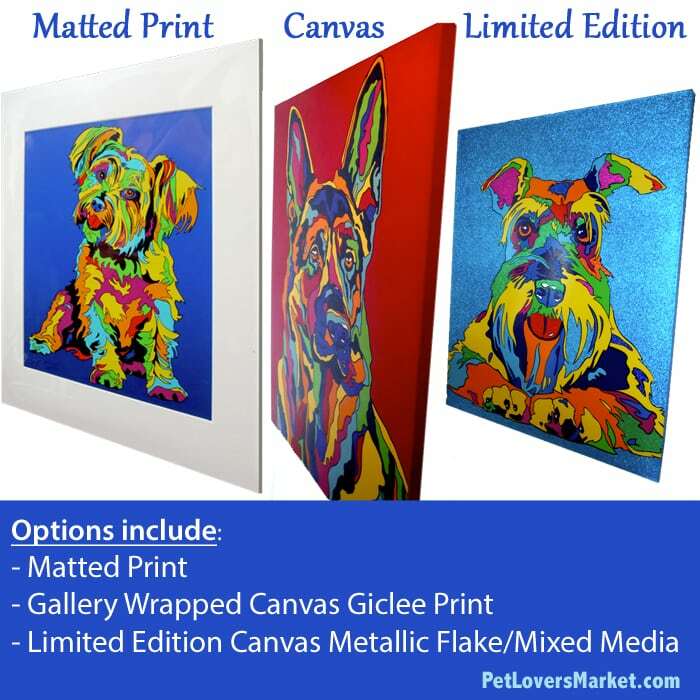 Choose between Matted Prints, Gallery Wrapped Canvas, and Limited Edition Canvas with high-grade Metallic Flake. See image below for examples of each. Metallic Flake transforms canvas into a “Dazzling Display of Dancing Light”. The Metallic Flake is applied by hand to the entire background as well as random spaces within the subject. Decorate with flair! 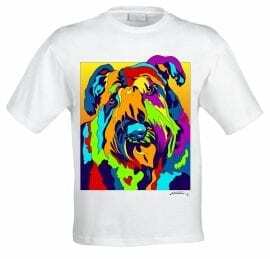 Bichon art is perfect for dog lovers. 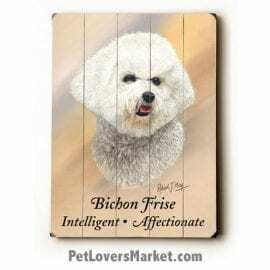 If you’re a fan of the Bichon Frise dog breed, this dog painting is a must-have. 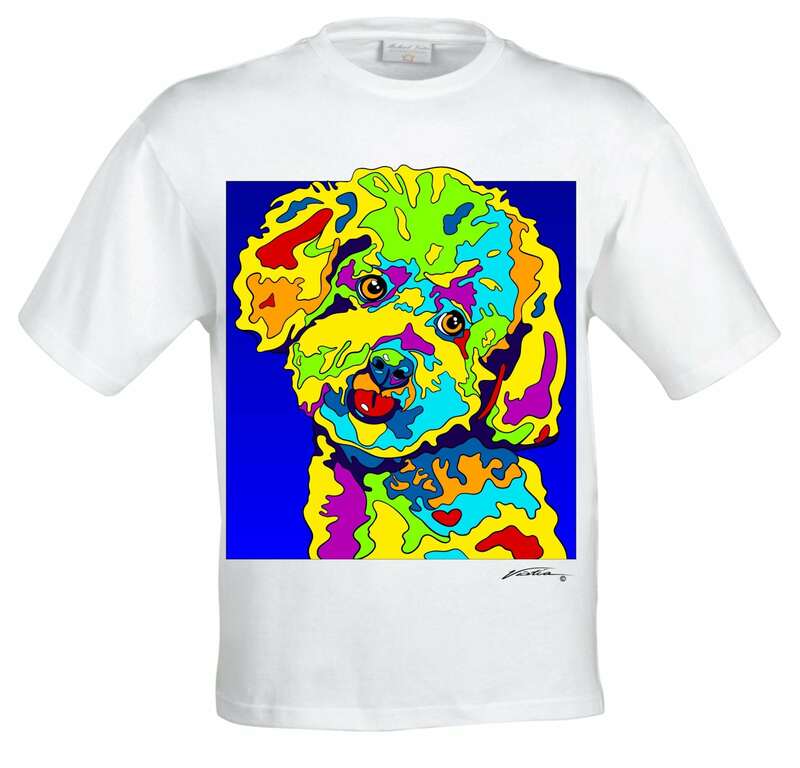 Show your love for dogs with Bichon art and pet portraits. Add the beauty of Bichon art to your own dog home decor — or give Bichon art as gifts for dog lovers. Bichon art is part of our collection of dog portraits by Michael Vistia. 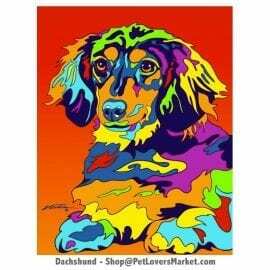 Michael Vistia is a very talented dog artist who creates pet portraits as canvas prints and matted prints. 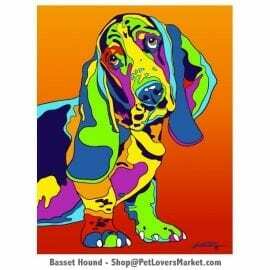 Rich and dramatic, Michael Vistia’s dog portraits add warmth and vibrancy to any space. 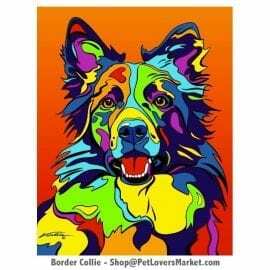 His artwork is part of our collection of dog art. 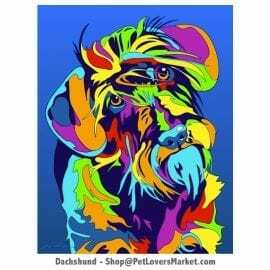 Our dog art includes dog prints, dog portraits, dog paintings, funny dog signs, wooden signs, canvas prints, matted prints. Whether you’re looking for canvas prints or matted prints, we’ve got you covered. Dog portraits are a wonderful way to express your love and appreciation for dog breeds. 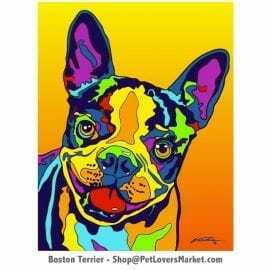 All dog portraits and dog paintings are lovingly made in the USA.